PowerPoint visuals to teach six lessons on the life of Elisha. 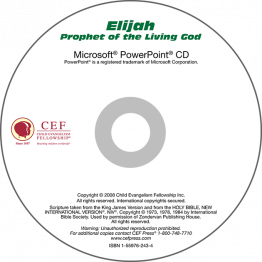 PowerPoint to teach six lessons about the life of Daniel, plus Jacob DeShazer missionary story. 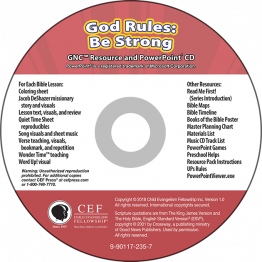 Includes PPT visuals for flashcards, memory verses (ESV and KJV) and words to suggested songs: Children All around the World, Did You Ever Talk to God Above?, God's Way, His Name Is Jesus, I'll Stand for God, Jesus Is Caring for You, No Turning Back, Be Strong in the Lord (Ephesians 6:10), If We Confess (1 John 1:9), If You Lack Wisdom (James 1:5). 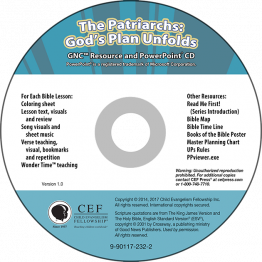 PowerPoint to teach six lessons about the life and times of King David, plus Lottie Moon missionary story. 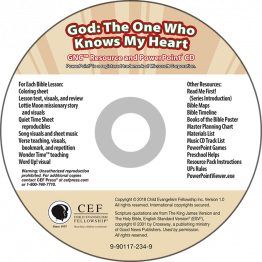 Includes PPT visuals for flashcards, memory verses (ESV and KJV) and words to suggested songs: Books of the Old/New Testament, Christ Redeemed Us, God's Way, Jesus Is Caring for You, Let's Get Started, Keep Your Way Pure (Psalm 119:9-11). 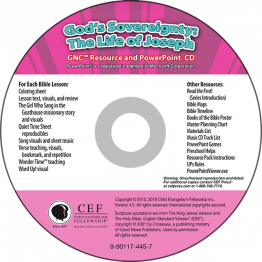 PDFs of lesson text and other helps: teaching cards, resource booklet, Wonder Time teaching, PPT games, preschool helps, reproducibles (Quiet Time sheets, memory verse bookmarks, coloring sheets)--everything in digital format that is in the printed resource pack. PowerPoint visuals to teach six lessons for God's Power: Escape from Egypt.